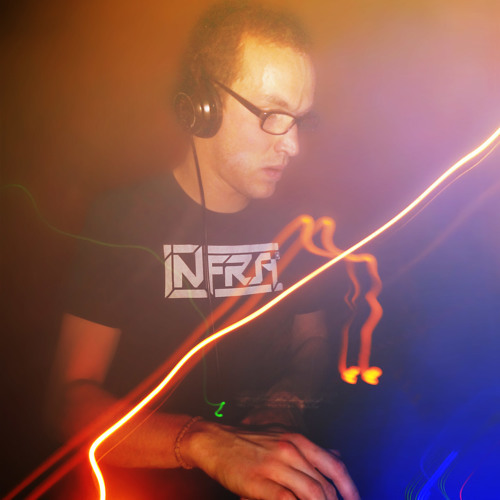 INFRA is a bass music producer, sound designer, DJ and promoter, living in Berlin. His productions provide engaging rhythms as well as heavily tweaked and twisted bass-lines, built for maximum pressure. Combined with hypnotising synth coloured atmospheres – that resonate in your head long after you hear them – they bring dancefloors to life and allow for mental explorations. As a co-founder of the Impulse Basskultur, INFRA stages boundary pushing and style defining bass music events with carefully chosen line-ups since 2010. The renowned Club Gretchen is their home base since 2017. INFRA's tracks have been released on ZamZam Sounds, Phantom Hertz, F4TMusic, Shadowforces, and Highscore Publishing, and gained DJ support from BunZer0, Crises, DFRNT, DJ Foster, Forensics, Greg G, Joe Nice, Kion, Von D and more. In the past, INFRA co-founded the Dubmarine parties, co-hosted the monthly Impulse Radio Show on BLN.FM and was a resident at the famous ://about blank, and the Shadowforces parties at Subland – now Void.